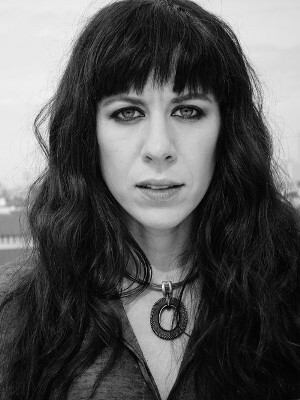 Review: Missy Mazzoli’s “Songs from the Operas” given Midwest premiere. Next program, Oct. 28, honors Armistice Day with Mahler. Next up, on Oct. 28, the Collaborative Arts Institute will observe the 100th anniversary of Armistice Day,which ended World War I. The program in Grainger Ballroom at Symphony Center will spotlight Mahler’s settingsfrom the 19th-century collection of German folk poetry “Des Knaben Wunderhorn” (The Youth’s Magic Horn), together with classic poetry from the World War I generation. As Mazzoli is the Chicago Symphony Orchestra’s Mead Composer-in-Residence, anticipation was high at the Sept. 5 event. 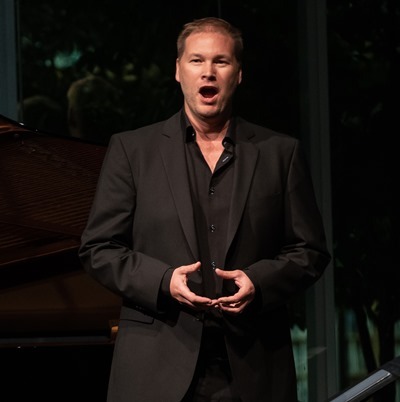 Crafted from excerpts from two of Mazzoli’s operas, the cycle was created at the request of the Institute artistic director, tenor Nicholas Phan, as a co-commission with Laguna Beach Music Festival. 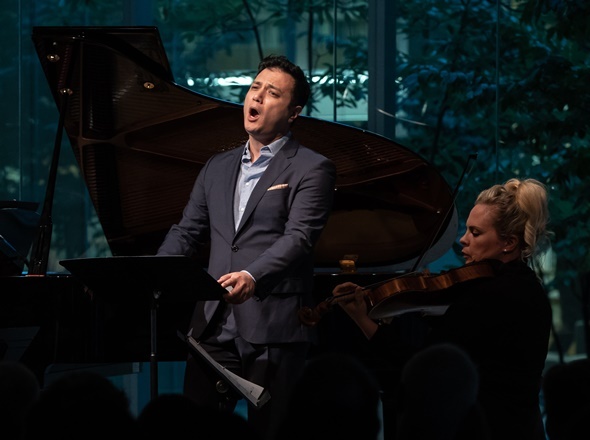 Two selections taken from Mazzoli’s opera “Proving Up” involve the journey of a boy Miles and his horse (and thus inspired the overarching title for the entire concert: “The Wanderer.” Phan initiated proceedings with a lovely traversal of the Schubert song by the same name). Mazzoli’s music is accessible and moving, and was delivered by Phan with astonishing technical acumen. There is an intriguing use of melisma sung over mildly dissonant violin (Yvonne Lam) and viola (Rose Armbrust Griffin). The final song, “Who Owns the Land,” found the tenor floating some ravishing tones above the staff, only to deliver an anguished cry that quickly fined away to a disquieting pianissimo. A listener might quibble that the opening piece, “Goodness, what powers you possess!,” from the opera “Breaking the Waves” does not entirely meld with the other selections in true cycle form; but overall, these excerpted arias work beautifully as classic song, and stand as complete narrative entities. Mazzoli has made a significant contribution to song literature here. Ralph Vaughan Williams’ “Songs of Travel” is hardly new, but one rarely hears it nowadays. Chicago audiences likely haven’t heard this music since Bryn Terfel performed it at Ravinia some years ago. The cycle was here given an excellent traversal by Canadian baritone Tyler Duncan. His lyric instrument is vibrant and masculine, with a tightly calibrated vibrato that lends a caressing quality to his sound (think of a lion purring). His English diction was impeccable, and entirely unaffected in this music, which is far more difficult to achieve than might be imagined. “Let Beauty Awake,” the cycle’s penultimate song, was given a particularly beautiful reading, distinguished by Duncan’s very intelligent handling of text. 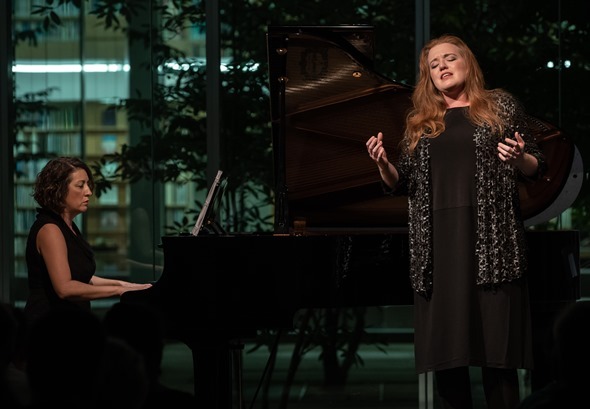 The concept of “wandering” assumed a psychological meaning with Mahler’s “Songs of a Wayfarer,” delivered in grand style by mezzo-soprano Jennifer Johnson Cano. Though generally heard in full orchestration, the infrequently performed edition for voice and piano allows one to fully concentrate on the voice. Cano seized the opportunity gloriously. Her pungent mezzo boasts impressive weight in middle voice, and is complemented by a fluidity that allows her to plunge from a ringing top to a formidable chest register with no loss of quality. The concluding “Die zwei blauen Augen von meinem Schatz” (“The two blue eyes of my darling”) ends on a note of ambiguity, as we are left to ponder whether the speaker’s experience of lying beneath a linden tree while blossoms rain down is one of healing serenity or crushing despair (Ms. Cano’s gravitas in the final phrases suggested the latter). There was nothing ambiguous about the audience reaction however. After five seconds of stunned silence, a single voice from the hall sighed “Ahhhh!” which signaled a blissful cacophony of cheers. This taste of Mahler will be elaborated into a smorgasbord at the Oct. 28 Armistice Day program. Curated by former Chicago Opera Theater conductor Alexander Platt, the presentation of “Des Knaben Wunderhorn” will feature Platt on piano with soprano Emily Birsan, mezzo-soprano Julie Miller and baritone Ricardo Jose Rivera, the musicians of the Caroga Arts Collective, and the actor, writer and Iraq War veteran Benjamin Busch, who will read poems from British, German, and American poets of the WWI era.